Here are the slabs for the income tax for the income incurring in Financial Year 2014-2015. The assessment year for these slabs is 2015-2016. 1) *A tax rebate of Rs 2,000 from tax calculated will be available for people having an annual income upto Rs 5 lakh. However, this benefit of Rs2,000 tax credit will not be available if you cross the income range of Rs 5 lakh. 3) Education Cess: 3% of the Income-tax for all. A sales tax is a consumption tax charged at the point of purchase for certain goods and services. The tax is usually set as a percentage by the government charging the tax. There is usually a list of exemptions. The tax can be included in the price or added at the point of sale. Ideally, a sales tax is fair, has a high compliance rate, is difficult to avoid, is charged exactly once on any one item, and is simple to calculate and simple to collect. A conventional or retail sales tax attempts to achieve this by charging the tax only on the final end user, unlike a gross receipts tax levied on the intermediate business that purchases materials for production or ordinary operating expenses prior to delivering a service or product to the marketplace. This prevents so-called tax “cascading” or “pyramiding,” in which an item is taxed more than once as it makes its way from production to final retail sale. Sales tax can be levied either by the Central or State Government or Central Sales tax department. Also, 4 per cent tax is generally levied on all inter-State sales. State sales taxes that apply on sales made within a State have rates that range from 4 to 15 per cent. Sales tax is also charged on works contracts in most States and the value of contracts subject to tax and the tax rate vary from State to State. However, exports and services are exempt from sales tax. Sales tax is levied on the seller who recovers it from the customer at the time of sale. Sales taxes come in two varieties. The first is a consumption tax or retail sales tax which is a straight percentage tax placed on the sale of a good. These are the traditional type of sales tax. The second type of sales tax is a value added tax. On a value added tax (VAT), the net tax amount is the difference between the input costs and the sales price. Sales taxes are considered by some to be regressive; that is, low income people tend to spend a greater percentage of their income in taxable sales (using a cross section time-frame) than higher income people. However, this calculation is derived when the tax paid is divided not by the tax base (the amount spent) but by income, which is argued to create an arbitrary relationship. The tax rate itself is flat with higher income people paying more tax as they consume more. While the tax on spending as a percentage of gross income may be regressive, the effective tax rates can be progressive on consumption due to exemptions or rebates. If a sales tax is to be related to income, then the unspent income can be treated as deferred (spending savings at a later point in time), at which time it is taxed. Sales taxes often exclude items or provide rebates in an effort to create progressive effects. In many locations, “necessary” items such as non-prepared food, clothing, or prescription drugs are exempt from sales tax to alleviate the burden on the poor. Others consider sales tax preferable since it taxes only consumption, which creates an incentive for savings and investment. 1) Find out the sales tax in your area. The Federal Tax Administration has the sales tax for every city and state on file. Visit their website for your sales tax. 2) To compute sales tax, it is helpful to have a calculator. If you do not have a calculator, most cell phones come equipped with them. 3) Remember, sales tax is computed as a percentage. 4) Take the retail price of the item, or items, you are about to purchase and multiply it by one and the sales tax percentage. For instance, if an item cost 49.99 and your local sales tax was 6.25%, you would multiply 49.99 by 1.0625. Adding the one to the beginning of the percentage adds the sales tax onto the price automatically. 5) Be sure you know the sales tax in your city, not just the state’s sales tax. The city you live in no doubt has a higher tax rate than the state. 6) For multiple items, simply add up the prices and multiply the subtotal by the one and the sales tax. A good is regarded as sold/bought when the transfer involves money. When the dealers are being assessed they need to provide all the documents and proofs of their tax payment so that the commercial or sales tax officer is satisfied. In majority of the transactions, sales tax applies on the basis of a single point. All the states have different procedures for appeals made by the assessees. In some states the assessees are categorized into manufacturers, selling agents, and dealers, and they are required to obtain necessary certificates. Different rates apply to these entities. All the dealers are supposed to make application registrations and procure it as well. The registration number needs to be provided for all cash or bill memos. 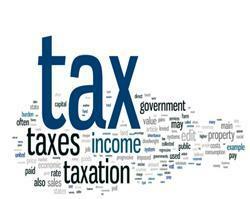 Tags: Sales Tax, Sales Tax In India, Type of Taxes In India, What is Sales Tax ? Consumption tax is a tax on spending on goods and services. The tax base of such a tax is the money spent on consumption. Consumption taxes are usually indirect, such as a sales tax or a value added tax. However, a consumption tax can also be structured as a form of direct, personal taxation, such as an expenditure tax. Consumption tax is applicable on the consumption of any type of good or service. This particular tax is based on consumption and not on income or labor. The Consumption Tax can be regarded as a sales tax, as this tax is also regressive in nature like the other pure sales taxes. However, there are some remedies by which the Consumption Tax can be made progressive in nature. Some of the methods for reducing the regressive trait of this tax include use of exemptions, deductions, graduated rates, or rebates. This will in other terms allow accumulation of savings exempting the tax burdens. A consumption tax is a tax on spending rather than on income; income is taxed when spent (consumed), not when it is saved. The Consumption Tax is more of a western concept than gaining grounds in the eastern countries. In the United States for consumption of goods and services, this tax was levied. The Consumption Tax was very popular out in the American countries as they are difficult to bring up at the levels of confiscation compared to that of the income tax. All those who are paying this tax would be subjected to certain exemptions and a standard deduction such that those categorized, as the poor do not have to pay any tax. All those who are liable to pay the Consumption Tax, will not enjoy any other deductions as this would not be allowed since their all savings are already subjected to deduction. In order to estimate the total liability of the Consumption Tax there might be withholding of the system, however this poses problems for the taxpayers. This creates trouble, as they had to pay no tax throughout the year to receive a huge tax receipt at the termination of the assessed year. All those paying the Consumption Tax enjoys the exemption of being taxed on all incomes placed in some investment projects, this is because this tax is only concerned with consumption. In order to transform the regressive nature of the Consumption Tax and to make it a progressive tax, all the taxpayers should expend more on consumption such that they are liable to pay more taxes on consumption. Generally, Consumption Taxes are more favored than the income taxes, as these taxes do not depend on the investment rates. For the taxpayer, in order to buy one investment when he sells another investment, there is no extra tax imposed on the profit. This implies that the Consumption Tax in general favors investment policies and in turn this would increase the capital stock, productivity, and the size of the economy as a whole. Tags: Consumption Tax, Consumption Tax in India, Type of Taxes In India, What is Consumption Tax ? Entertainment tax is a tax on entertainment. In India, entertainment tax is levied on every financial transaction that is related to entertainment such as movie tickets, major commercial shows and big private festivals. As per the Indian Constitution, entertainment is included in List 2. This revenue is reserved primarily for the state governments. In the pre-independence era, the British government levied huge taxes on events centered on entertainment or amusement. The basic idea was that there could be a public rebellion at such events as they saw huge gathering of Indians in a politically sensitive and critical time. These laws are still in effect in some states and are yet to be repealed or revised. In India the aspect of entertainment is an intrinsic part of several transactions and services – this is done in such a way that the matter cannot be separated from the service or transaction itself. In India, state governments are primarily responsible for collecting the entertainment taxes. However, the union government can also collect these taxes on the basis of the type of transaction. The basic financial principle, which separates the entertainment taxes to be collected by the union government and ones under the jurisdiction of the state government, is mentioned in the Article 246 of the Indian constitution. This part also highlights the entertainment taxes that can be collected by the union governments and the states. In case there is a conflict between the Union Government and the State Governments regarding an entertainment tax, the Union will have greater power in imposing the tax. Tamil Nadu 15%. Tamil language films are exempted from entertainment taxes. Andhra Pradesh 20%. In case of Telugu films the applicable rate is 15%. Tags: Entertainment Tax, Entertainment Tax In India, Type of Taxes In India, What is Entertainment Tax ? Gift tax is history, or rather, was history. Financial act 1998 had deleted gift tax act w.e.f.1.10.98. Consequently, all gifts made on or after 1.10.98 are free from gift tax. Neither the donor nor the donee would have to pay any tax. Financial act 2004 has revived it partially, but it is in the form of donee-based income tax instead gift. The clubbing provisions in the Income Tax Act 1961 and Wealth Tax Act, 1957 are not deleted. Therefore, income and wealth from assets transferred directly or indirectly without adequate consideration to minor children, the spouse (otherwise than in connection with an agreement to live apart) or daughter-in-law will continue to be deemed income and wealth of the transferor. Same is the case when assets are held by a person or an Association of Persons for benefit of assesses, the spouse, daughter-in-law and minor children. Gift tax was not applicable to gifts of movable property situated in Jammu and Kashmir. Now, that the Gift Tax Act, 1958 is abolished, the clubbing provisions would be applicable to gifts of movable properties in J&K also. U/s 56(2) (vi) certain gifts are taxable according to income tax as “income from other sources”. However, this provision applies only for individuals & Hindu Undivided Families (HUFs). Thus, if gift is received by any Trust or A.O.P., then it shall not be liable to income tax as “income from other sources”. The last thing that you want to think of while receiving a gift is about the tax implications of it. The Gift Tax has had a bit of a roller-coaster ride in India; with a brief period when it was abolished and then it getting renewed in a new avatar. The tightening of the rules related to gift tax will curb money laundering to a great extent. However it does protect genuine gifts from relatives and loved ones. Several guises used earlier to cover up transactions as gifts are now taxable. Tags: Gift Tax, Gift Tax in India, Type of Taxes In India, What is Gift Tax? Infrastructure bonds are long term investment bonds issued by any non banking financial company like Industrial Finance Corporation of India or IDF. These companies are an ombudsman borrowing from the investors and lending to the government. These bonds are used to fund government’s infrastructure projects. Thus an individual is directly helping in nation development. These bonds have a maturity period of 10 to 15 years. After say 5 years one can use the option of buy back or he can always enjoy the interest annually or compounded interest at the end of the period. While the buy-back facility for the 10-year bonds is after 5 years, for the 15-year option it comes after 7 years. Normally, the public sector organizations offer better interest rates compared to the governmental entities. As per laws, interest earned from these bonds will be subjected to taxes just like the fixed deposits that offer tax benefits. They are also like other bonds but the only difference is the money that is accumulated from these bonds is spent for the improvement of the infrastructure of the country. They carry an Interest rate of about 8% to 10%. These bonds unlike the savings account provide much higher returns. Usually these bonds come with a maturity period of 10 or 15 years and have a lock in period of 5-7 years respectively. One can sell the bonds in a Dematerialized form after the completion of the lock in period. Bonds can be readily sold over both Bombay Stock Exchange (BSE) and National Stock Exchange (NSE). At the least, an investor needs to compare the returns being provided by various companies issuing the infrastructure bonds and check out their credit rating. Experts opine that an investor should also keep in mind the latest financial performance of a company before buying its investment instruments. One may also not purchase on the basis of Secured and Unsecured bonds because secured doesn’t mean any kind of guarantee – it simply means that the company has set aside some assets against this bond issue. If anything happens to the company then those assets will be sold to recover the money for the bondholders. That’s all it means – it does not mean a guarantee from the company or the government of India that you will be repaid no matter what. One can choose to apply for only the 10-year bonds or only the 15-year bonds or a combination of the two. If one has a demat account one can apply in the demat mode, else one can even opt for physical certificates. If one is applying in the demat mode, one need to provide details of your demat account along with a copy of your Permanent Account Number (PAN) card, along with a cheque. However, if one is looking to invest in physical form, one need to attach a copy of your residence proof as well. The face value of each bond is Rs 5,000 and one has to make an application of one bond and in multiples of one bond thereafter. There is no upper limit on the amount one can invest. Only in the case of SREI Infra, the face value is Rs 1,000 and one can apply for a minimum of one bond. This year onwards, there will be no tax benefit from Infrastructure Bonds. On one hand Mr. Pranab Mukherjee gave some extra money by increasing basic exemption limit by Rs 20,000 and on the other hand he took back more by taking back Rs. 20,000 tax deduction provided under section 80CCF using long term infrastructure bonds. 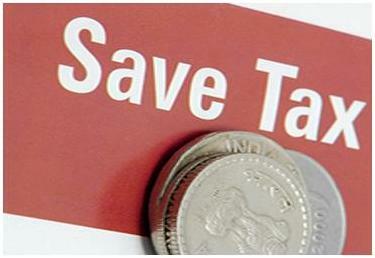 The tax benefit had been extended till 2011-12 and experts had asked that the tax exemption limit be increased from Rs. 20000 to Rs.50000 but Mr. Mukherjee didn’t mention anything about 80CCF and thus removing it from picture. The Impact of such decision will be that such bonds will lose their attractiveness. Rs. 20000 increase in basic exemption limit provided 2000 extra to every men. But removal of infra bonds results in extra tax of same 2000 for Men in 10% tax limit, 4000 for 20% tax limit and 6000 for 30% tax limit (Not including cess and other charges). For women tax payers, conditions are even worse. With no change in basic exemption limit for them it could only be bad for them. This is negative not only for individuals but for infrastructure companies as well. Long term infra bond was a source of low interest capital for these companies. Now after removal of this tax benefit from investors, their sale will surely come down and these companies will have to go to market for fund raising on higher interest rates. In country like India where condition of infrastructure is already bleak, I am not sure how removal of provisions of 80CCF will work for greater good. According to finance ministry, India will reduce the lock-in period for foreign investment in some long term infrastructure bonds to one year from three years. It is also said that Lower lock-in period of infra bond will be a key to more money. What is HINDU UNDIVIDED FAMILY (HUF)? Under the Income-tax Act, a Hindu undivided family is treated as a separate entity for the purpose of assessment. The term “Hindu undivided family” has not been defined under the income-tax Act. The expression is however, defined under the Hindu law, as a family which consists of all the persons lineally descended from a common ancestor and includes their wives and unmarried daughters. The relation of Hindu undivided family does not arise from a contract but arises from its status. Though Jain and Sikh families are not governed by the Hindu law, such families are treated as Hindu undivided families for the purpose of the purpose of the Income-tax Act. 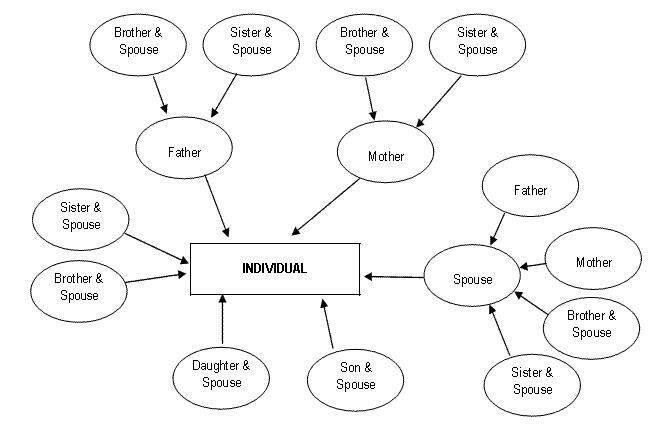 Head of the family is known as KARTA. The Karta is the oldest male family member. In the event of the death of the Karta, his eldest son becomes the next Karta, who will be followed by the next son in line if the eldest son does not want to be the Karta. If there are no sons, the unmarried daughter can become the Karta in the unfortunate event of the death of her father. If the Karta passes away, the assessing income tax officer should be intimated of his death and the appointment of the new Karta. Previously only male adults are called coparceners (those persons who acquire by birth an interest in joint family property) but with the introduction of Hindu Succession (Amendment) Act, 2005 from September 6, 2005, daughters also are given coparcener status but only under Mitakshara School of law. There are two schools of Hindu law- Dayabhaga and Mitakshara. Dayabhaga: This school of law prevails in West Bengal and Assam. Under this school of law a son does not acquire any interest by birth in an ancestral property. Son acquires such interest only after the death of his father. Thus, the son does not enjoy the right to demand partition during the lifetime of his father. In view of this, the father enjoys an absolute right to dispose of the property of family according to his desire. It can thus be said that there is NO COPARCENER in Dayabhaga School of law till the death of father. After the death of father, sons become coparceners in respect of property left by father and income arising there from is taxable as income of Hindu undivided family. Mitakshara: This school of law applies to whole of India except West Bengal and Assam. The coparcenary under this law is a fluctuating body which is enlarged at the time of each birth and reduced at the time of each death of a coparcenary child. 1) HUF is eligible for deductions under section 80D (Insurance premium paid on health of its members), 80G (Donation), 80L (income from bank and post office deposits), 80C (assorted list of items) under Income Tax Act, 1961. 2) A HUF also enjoys exemptions under section 54 and 54F in respect of capital gains. 3) HUF also gets advantage of slab rate taxability. 4) Also, under Wealth Tax Act, 1957 HUF is treated as a distinct entity and enjoys separate taxability. Basically the logic behind forming an HUF is to avail the benefit of an extra PAN card legally. As the income of the family is not taxed in the hands of any specific individual, a new PAN card is allotted to the HUF and tax would be paid by the family using this PAN card. As a new PAN card would be allotted to the whole family, it will also enjoy the benefits of Income tax slab rates i.e. Income would be tax free up to specified limits and would then be taxed progressively at 10%, 20%, and 30%. 1. When a donor (giver of a gift) gives a gift in cash or in kind, it might be taxable in the hands of the donee, which in this case is the HUF. 2. If the donor gifts movable or immovable property for less than its market value to the HUF, the HUF has to pay taxes on the deemed fair value of the gift. 3. Previously, cash gifts under Rs. 50,000 were tax free. If the gift was more than Rs. 50,000, then the entire amount was taxable. Now, any gift received either in cash or in kind of a value more than Rs. 50,000 is taxed in the hands of the HUF as ‘Income from Other Sources’. Lineal ascendant or descendent of the donee or donee’s spouse. 5. Gifts at the time of marriage are exempt from tax, whether from a friend, relative or colleague. Hence if a member of the HUF is getting married, the gift can be made to the HUF, and it will be exempt from tax in the hands of the HUF. 6. Movable or immovable property received through a Will by way of inheritance is exempt from tax.Any income received by the HUF can be further invested into various investment avenues such as shares (through the HUF’s demat account), mutual funds, fixed deposits, property and so on, and the profit or interest earned will be taxable in the hands of the HUF, as it is income of the HUF. Property tax is the principal source of revenue of urban local bodies/local municipal authorities to upkeep the basic civic services in the city. And studies shows that the property tax base in developing countries especially like India, has been declining due to administrative and procedural inadequacies and lack of proper information regarding properties resulting a significant number of properties are not included in the tax base, those that are included are inaccurately assessed and collection is inefficient. As MCD wishes to achieve the vision and objectives to provide transparent, accountable and efficient citizen-centric services to the citizens of Delhi through the use of Information Technology, Property Tax Division of MCD has initiated an innovative, broad based approach of Public-Private Partnership (PPP model). Out of 3 ways (Annual Rental Value, Capital Value System, Unit Area System), MCD adopted Unit Area System which is recommended by Government of India. How to calculate property taxes? 1) Find out the assessed value of your property, including both the land and the building itself. This amount reflects the estimated value of your property as determined by the official tax assessor and not how much you paid for it, how much you personally benefit financially from it or how much you estimate it is worth. Add the estimated values for the land and the building together, and work with this number as the total estimated value for your property in order to calculate your property tax. 2) Research the estimated property tax rates for the coming year. It may help to use previous year’s tax rates and their variances as a guide. Many local governments provide access about property tax rates, average home values and estimates for property taxes on their individual websites. 3) Deduct any property tax exemptions that you qualify for from this total assessed value of your property. You may need to contact your local tax office to verify what deductions you are eligible to apply towards your property tax, as these tax exemptions vary by location. Common examples of people eligible for property tax exemptions are the disabled, the elderly over 65 years old and widows. 4) Multiply your new amount for the assessed value of your property by the estimated property tax rate percentage for the coming year for each taxing district your property falls under separately. Add up the amounts for each taxing district to calculate the total estimated amount you will be required to pay in property taxes. 5) Keep in mind that the amount you calculate is only an estimate and may vary significantly from the amount of property taxes you are required to pay. Official tax rates are not usually determined until the end of each fiscal year. To be safe, it is best to budget more than the estimated amount when planning to pay property taxes. Tags: Calculate Property Tax, house property tax, Property Tax, What is Property Tax? The VAT began life in the more developed countries of Europe and Latin America but, over the past 25 years, has been adopted by a vast number of developing and transition countries. Ever since the introduction of new economic policies of LPG (Liberalization, Privatization, Globalization) in India under Narasimha Rao’s government, the debate regarding the restructuring of Indian fiscal system also has been initiated. The Indian Economy is on race with other nations due to globalization and its transformation to a market economy. The emphasis on new reforms is to broaden the tax net and make it simple so that a layman can understand it. VAT is a system of indirect taxation, which has been introduced in lieu of sales tax. It is the tax paid by the producers, manufacturers, retailers or any other dealer who add value to the goods and that is ultimately passed on to the consumer. VAT has been introduced in India to ensure a fair and uniform system of taxation. It is an efficient, transparent, revenue-neutral, globally acceptable and easy to administer taxation system. It benefits the common man (Consumer), businessman and the Government. Further, VAT enhances competitiveness by removing the “cascading”- “the tax on tax” effect on goods and makes the levy of tax simple and self-regulatory, ensuring flexibility to generate large revenues. The cascading effect is brought about by the existing structure of taxation where inputs are taxed before the commodity is produced and the output is taxed after it is produced. This causes an unfair double-taxation. However, in VAT, a set off is given for input tax (tax paid on purchases). This results in overall tax burden being rationalized and a fall in prices of goods. A recent IMF study concludes that the VAT can be a good way to raise resources and modernize the overall tax system—but this requires that the tax be well designed and implemented. If VAT registered businesses receive more output tax than the taxes paid as input, they will need to pay the difference to the commissioner of Taxes (State). ü One can carry forward the Input Credit and adjust it against output tax in the subsequent months. ü One can receive refunds for Input Credit on exports within a period of three months. For example, input worth Rs.1,00,000/- is purchased and sales are worth Rs.2,00,000/- in a month, and input tax rate and output tax rate are 4% and 10% respectively, then input tax credit /set-off and calculation of VAT will be as shown below. Input Credit : The amount of Input tax that is permitted to be set off against output tax. The largest number of goods (270) comprising of basic necessity items such as drugs and medicines, agricultural and industrial inputs, capital goods are under 4% VAT. There are about 46 commodities under the exempted category. This includes a maximum of 10 commodities that each state would be allowed to select, from a broader approved list for VAT exemption. The exempted commodities include natural and unprocessed products in unorganized sector as well as items, which are legally barred from taxation. This is for specific category of goods like gold, silver etc. The remaining commodities are under the general VAT rate of 12.5%. Few goods that are outside VAT as a matter of policy would include liquor, lottery tickets, petroleum products, as the prices of these items are not fully market-determined. These Items will continue to be taxed under the sales tax act of the respective states. As VAT is a multi-point tax with set off for tax paid on purchases, It prevents repeated taxation of the same product. VAT has a flexibility to generate large and buoyant revenues, as it levies tax on value additions. Ability to provide same revenue to the Government with lower rates of taxes. Tax does not become a cost of doing business. VAT introduces uniform tax rates across the state so that unfair advantage cannot be taken while levying the tax. Procedures relating to filing of returns, payment of tax, furnishing declaration and assessment are simplified under the VAT system so as to minimize any interface between the taxpayer and the tax collector. VAT favors capital intensive firms. Key issues for the future will no doubt involve the VAT’s implementation in decentralized states and within regional trading blocs, where there are no formal border controls; the proper treatment of the financial sector under the VAT; and reduction of the damage from multiple rates and exemptions, which are even more inconsistent with the basic logic of the VAT. A still more fundamental and as yet little recognized set of issues concerns the relationships between the VAT and income taxes, both domestically and internationally. For all the VAT’s impressive achievements, its potential has still not been fully exploited or, perhaps, fully understood.